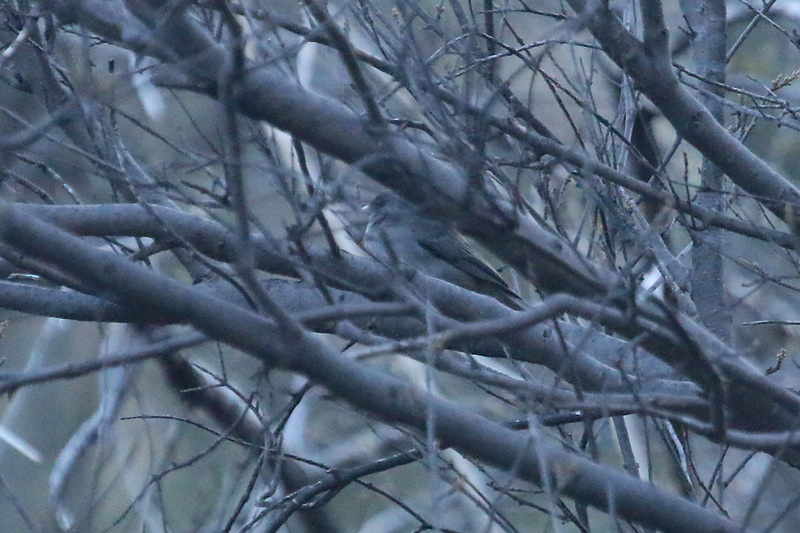 A successful day of target birding in Santa Cruz County, with two major national rarities. Our main target for the day was the extremely rare NUTTING’S FLYCATCHER that has been present for a month or so. It took a while but we eventually tracked it down and enjoyed great views. 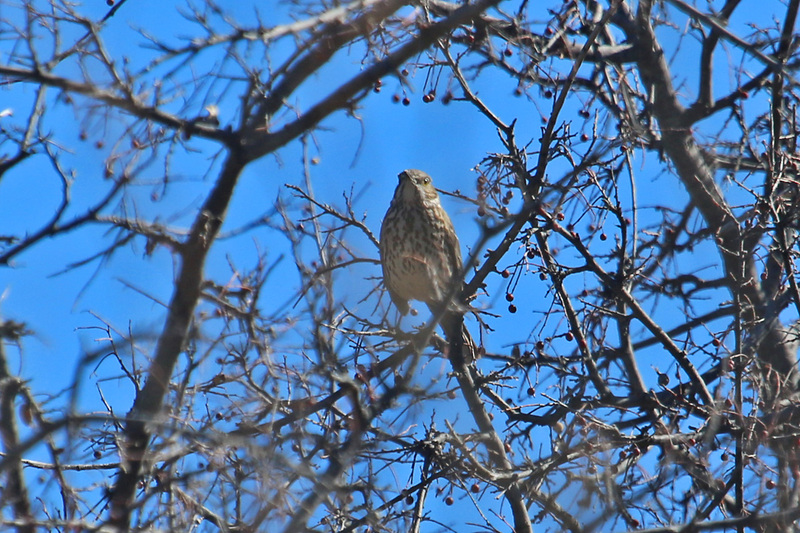 Also in the area, we found SHARP-SHINNED HAWK, GRAY FLYCATCHER, LOGGERHEAD SHRIKE, ROCK WREN, HERMIT THRUSH, LARK and BLACK-THROATED SPARROWS, HEPATIC TANAGER, and PYRRHULOXIA. This is often a productive spot and today was no exception. Feeding by the roadside we found a few WESTERN BLUEBIRDS and three surprise SAGE THRASHERS. A GREATER ROADRUNNER was at the roadside and a TURKEY VULTURE drifted over. 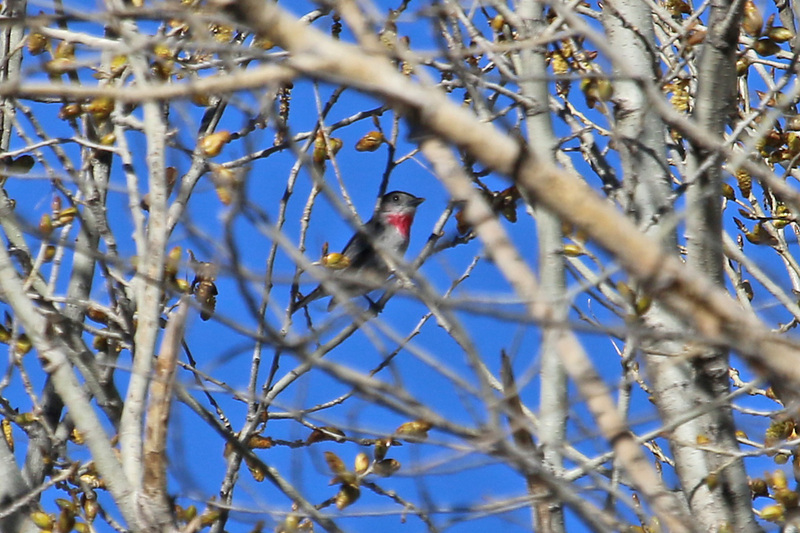 There have been several ROSE-THROATED BECARDS wintering along the Santa Cruz, but they’ve been frustratingly difficult to find. 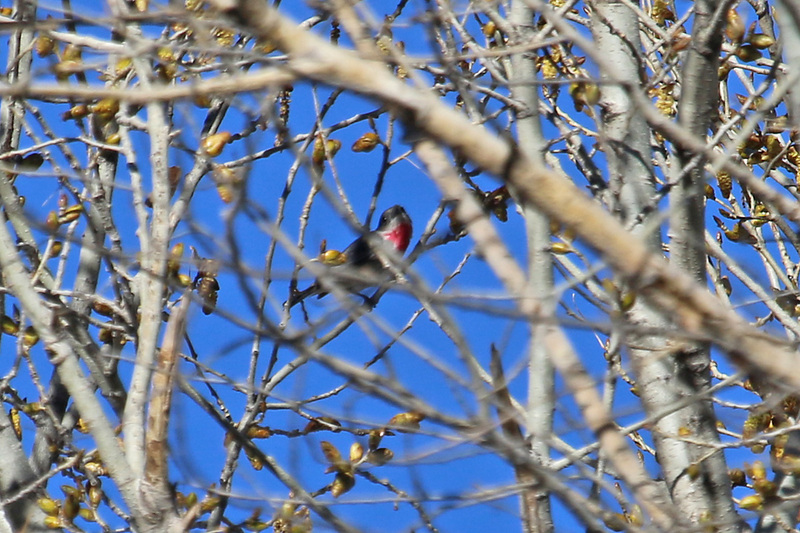 Today we were in luck when another birder pointed out a smart male feeding high in an early-flowering cottonwood tree. Also here, HUTTON’S VIREO, BRIDLED TITMOUSE, AMERICAN ROBIN, ORANGE-CROWNED WARBLER, ABERT’S TOWHEE, RUFOUS-WINGED SPARROW, and HEPATIC TANAGER. A quick visit late afternoon produced a few birds as the sun sank below the mountains, the most notable being a DARK-EYED JUNCO of either the Slate-colored or Cassiar forms, or a hybrid (I hope that covers it!). We also found NORTHERN HARRIER, CANYON WREN, BLACK-TAILED GNATCATCHER, GREEN-TAILED TOWHEE, as well as the always entertaining ANTELOPE JACKRABBIT.